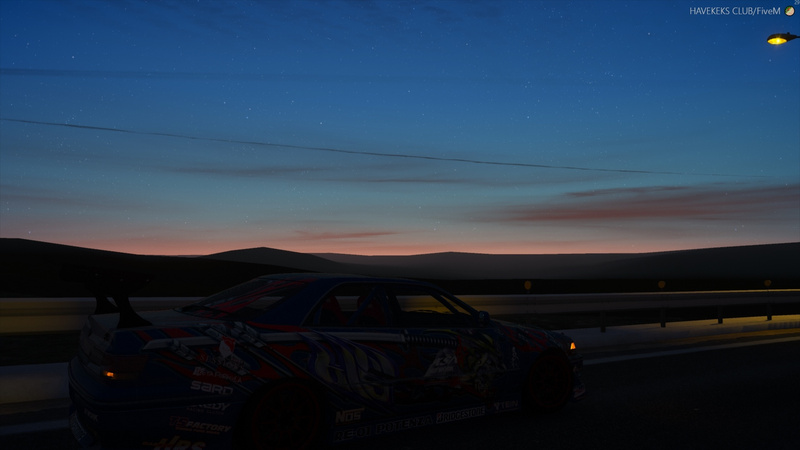 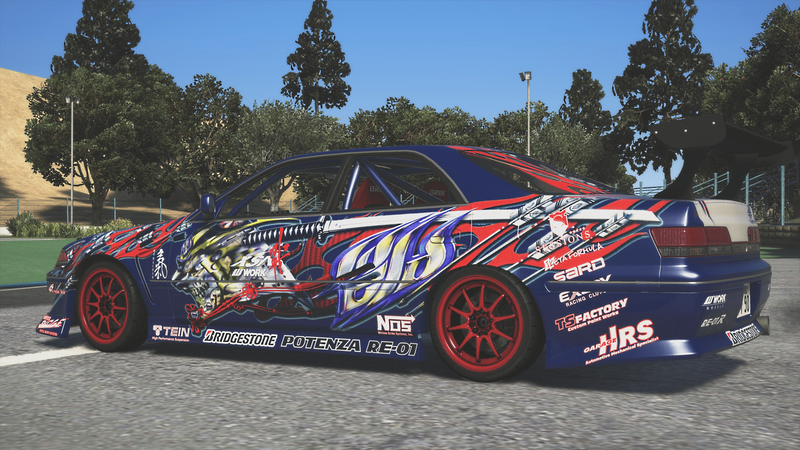 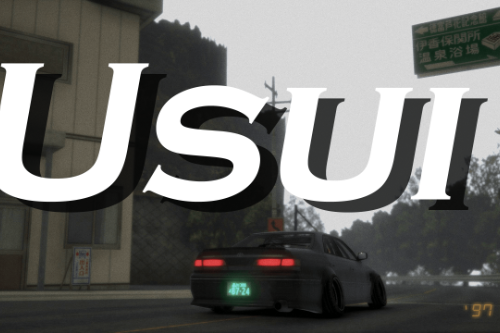 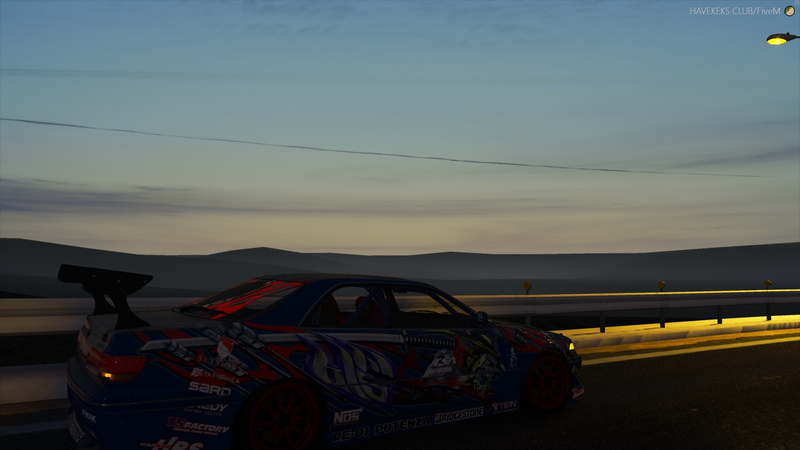 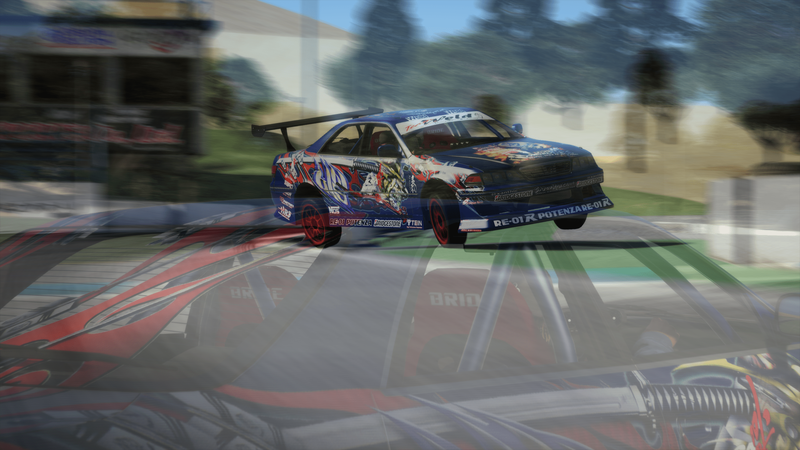 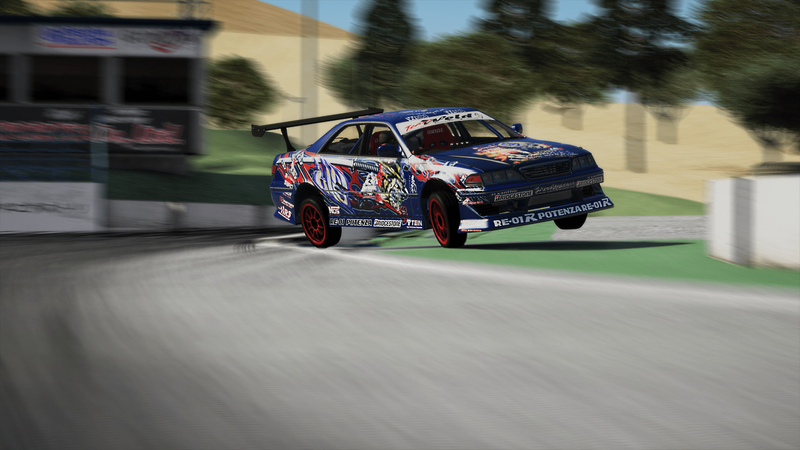 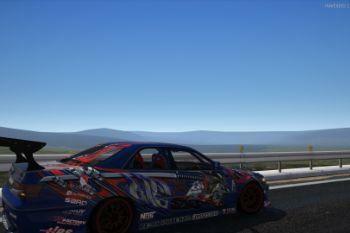 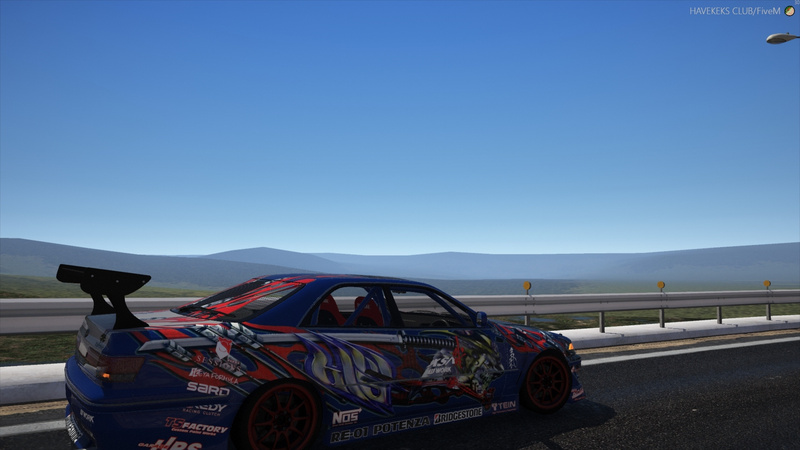 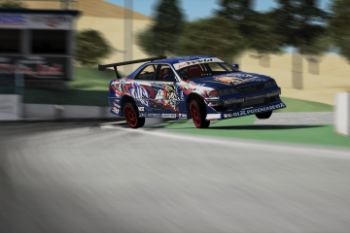 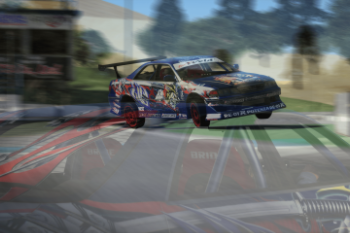 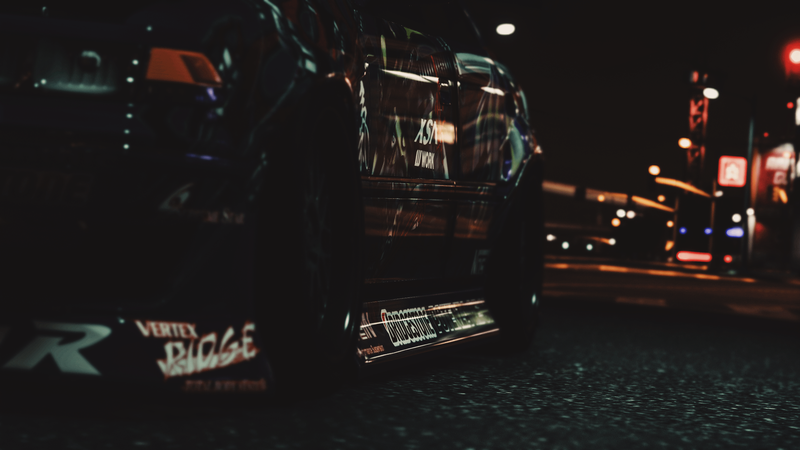 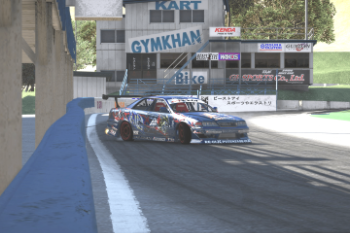 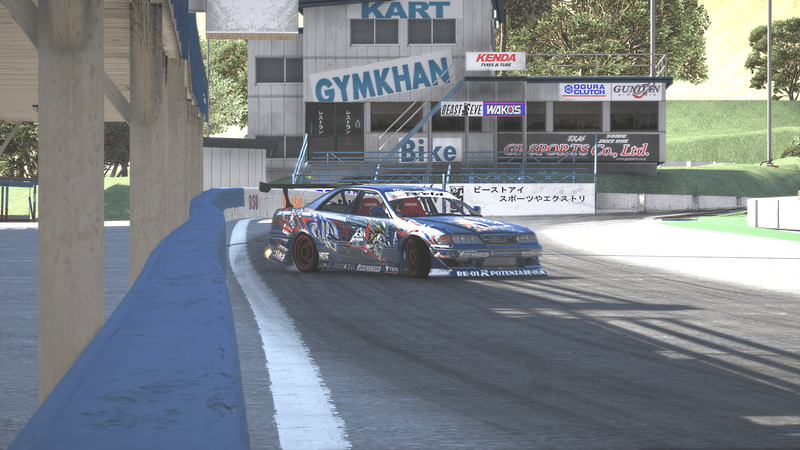 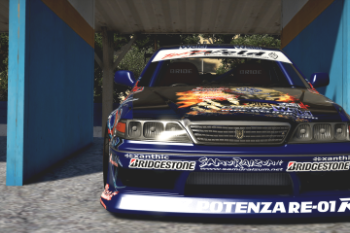 The idea to make this livery arose about two years ago, then there was already a mod of Toyota Mark II JZX100, but there was no good uv mapping for them and no much tunning parts ... 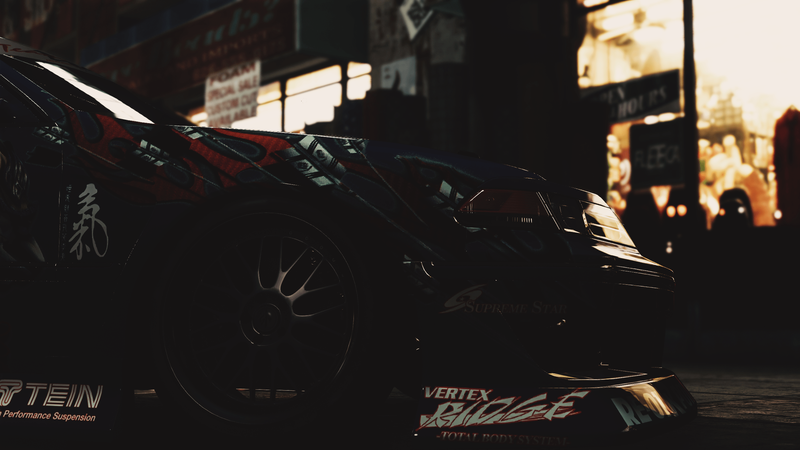 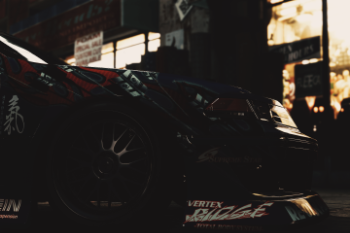 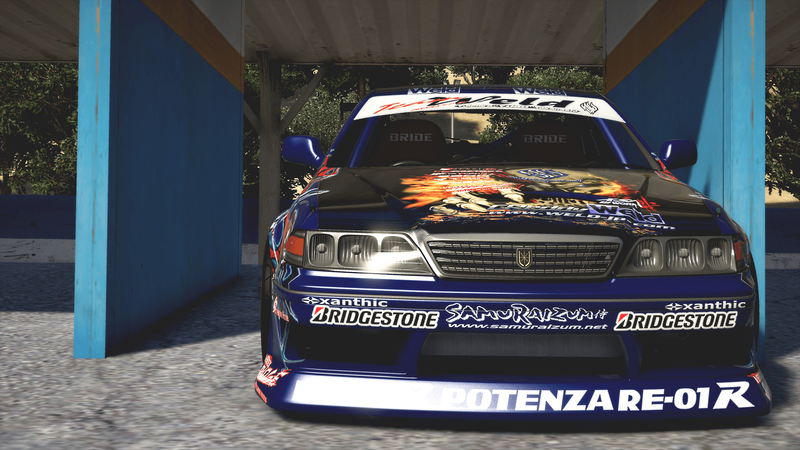 When the release of Toyota Mark II JZX100 by @cereal appeared and I saw a good uv mapping on it and a lot of tunning parts, I remembered this livery and had a great desire to make a replica of it. 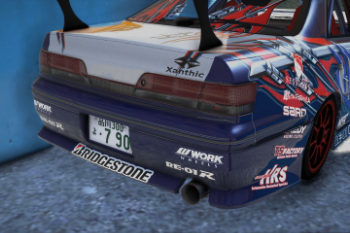 I remade big part of all stickers from LQ pictures, tried my best. 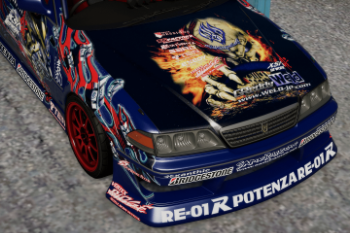 Total folder with all sticker, graphics and etc. 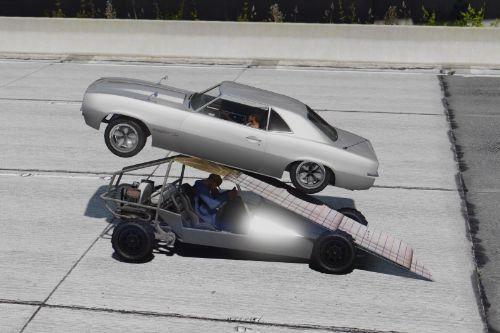 took near 1GB of space. 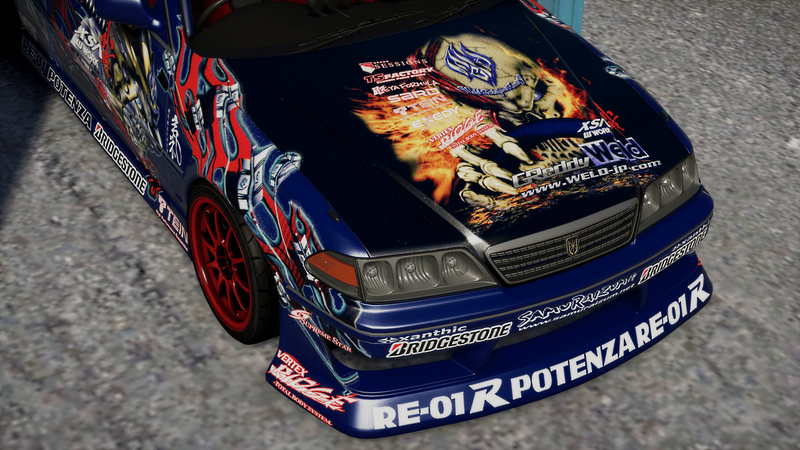 More about this car you can read here (official Weld Techniques Factory site). 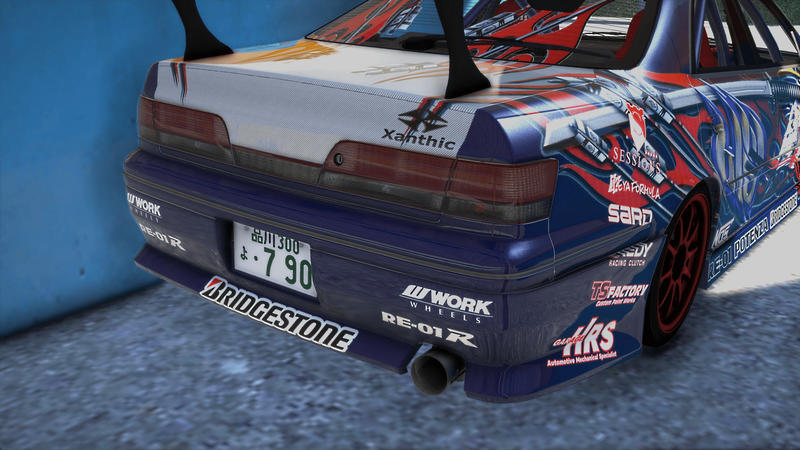 "BN Sports Type 2 Front Bumper"
"BN Sports Type 2 Front Fenders"
Recommended Paint: Paint index: 62; RGB: 0,10,50; Pearlescent: "Frost white"
Ask me if you need HQ sticker files or graphics. 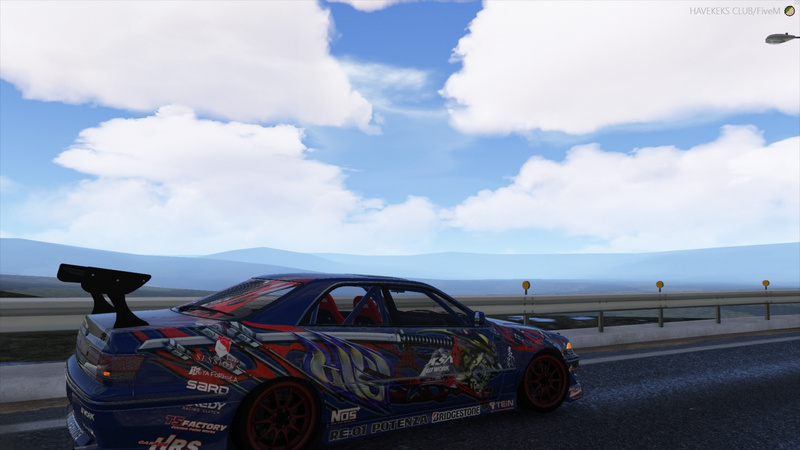 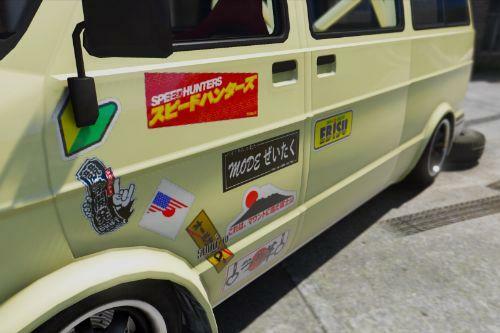 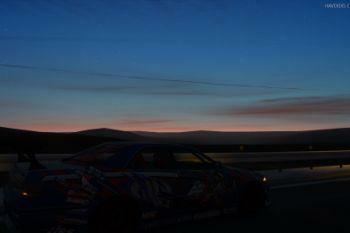 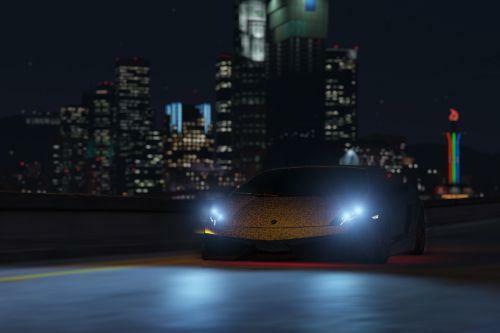 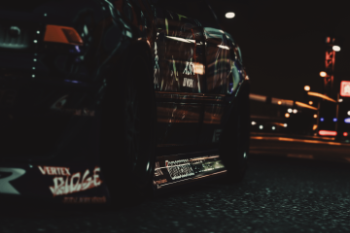 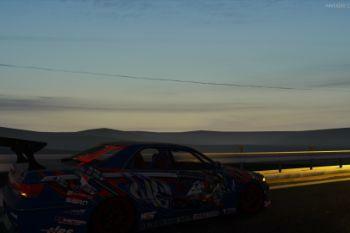 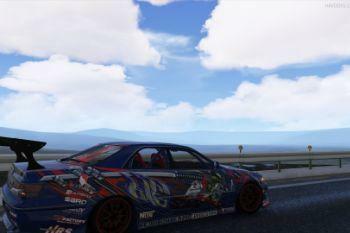 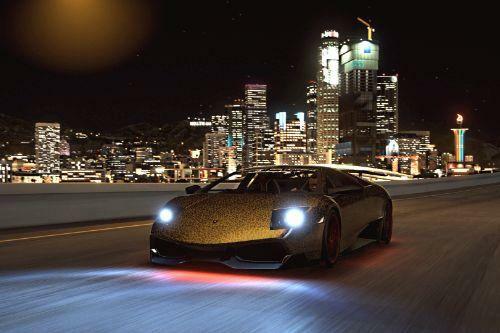 Give me credits if you are using my livery for other games mods.